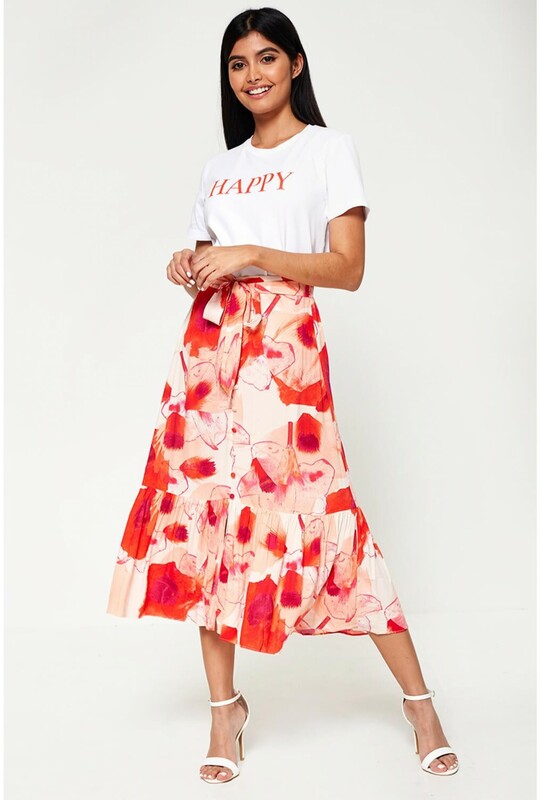 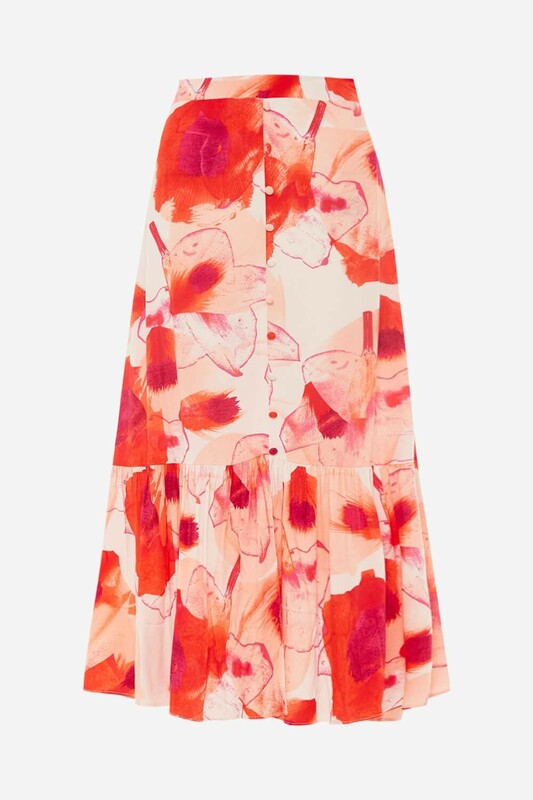 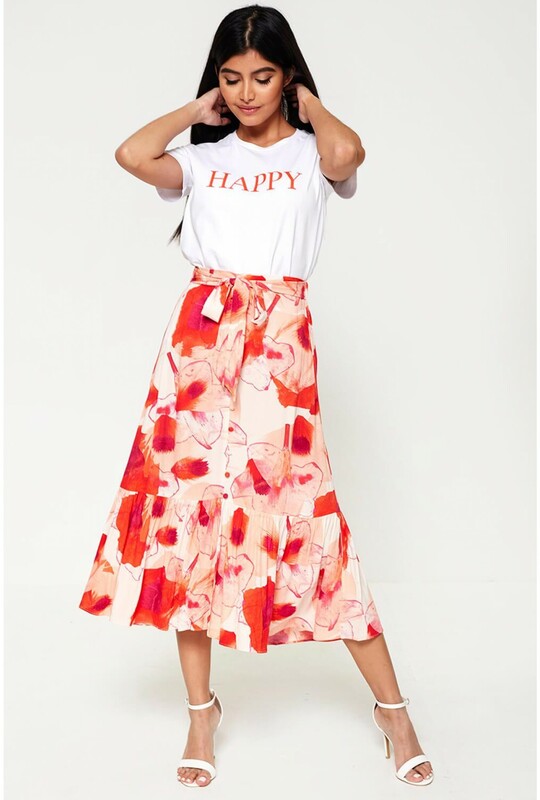 In an eye-catching floral print design, this midi skirt is feminine and contemporary. 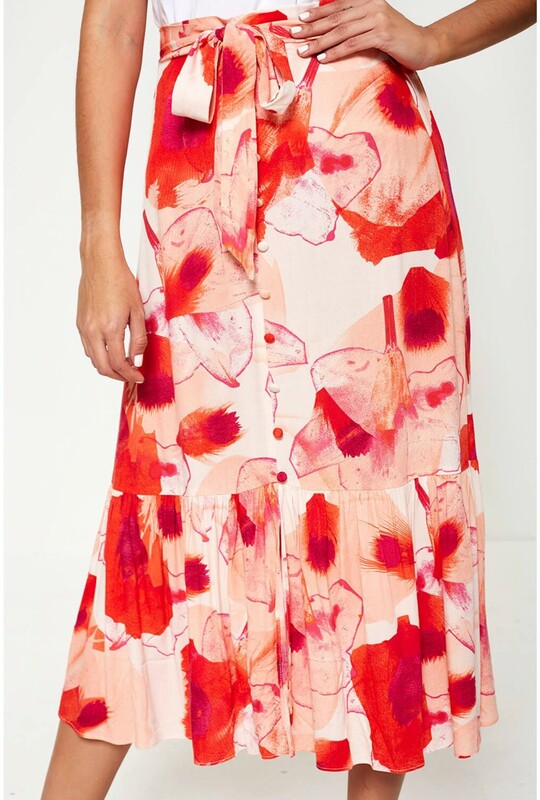 Featuring button detail to the front and falling into a pleat hem. Team with a cami and barely there heels.